The Bò kho’s distinct taste comes from the use of lemongrass, ginger, star anise, cinnamon, and curry powder. A bowl of this on a winters evening with french bread is definitely my ideal comfort food. And like most stews, it’s even better the next day, and the day after that, and the day after that… mmm.. yum! 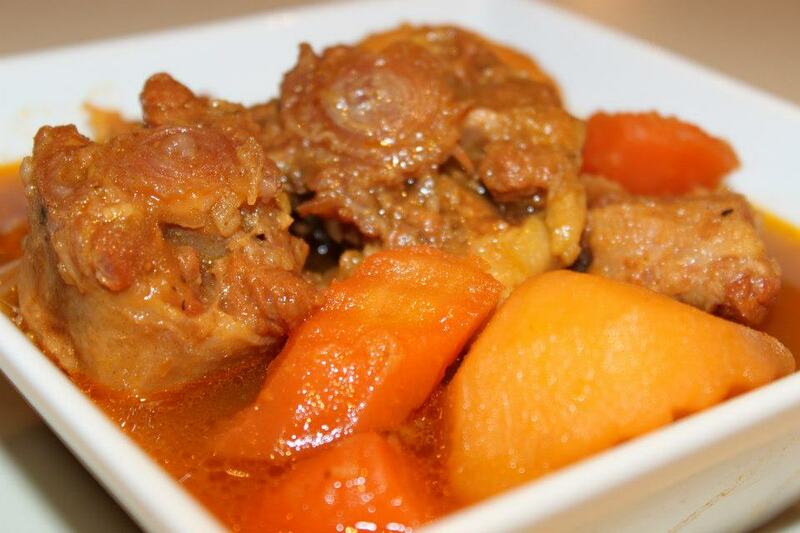 One Comment on "Đuôi Bò Kho – Vietnamese style Ox-Tail stew"
This looks and sounds fantastic. We are going to Vietnam for a month in January. Hope I can find a restaurant in Saigon that serves this.